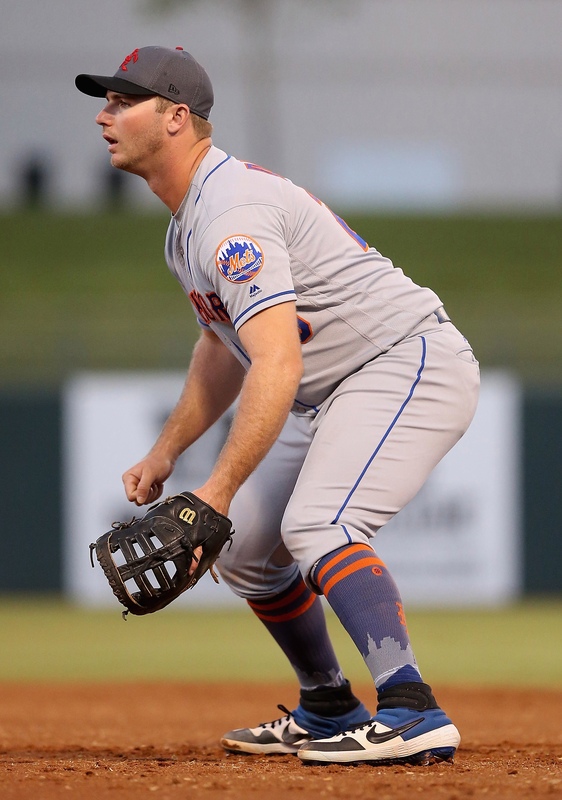 After Peter Alonso reported to Port St. Lucie on Saturday, he spoke to the media about his potential spot on the big league roster. He talked about finishing off hot in the 2018 Arizona Fall League and plans to continue his good play during the upcoming Spring Training. He also added that he spent the winter working out in the Tampa area and regularly checked in with Mets infield coach Tim Teufel, while working on his footwork around first base and even lost 12 pounds. Regardless of his play this Spring, we should expect to see Alonso start the regular season with the Syracuse affiliate. The Mets will wait to start his MLB clock approximately 2 weeks after the start of the season in mid April to guarantee his seventh year of control to the team instead of potentially putting him on the Free Agent market after his sixth.